This was one of my first attempts at using clipart to make a cartoon. I have a license to use and adapt their images. I don't really know how to draw, so this seemed a great way to get around that troublesome problem, and still cartoon. Now that I've let you in on my little secret, it's pretty obvious this was altered, rather than drawn like this, right? I mean, where exactly did the blue suited guy's arm go? 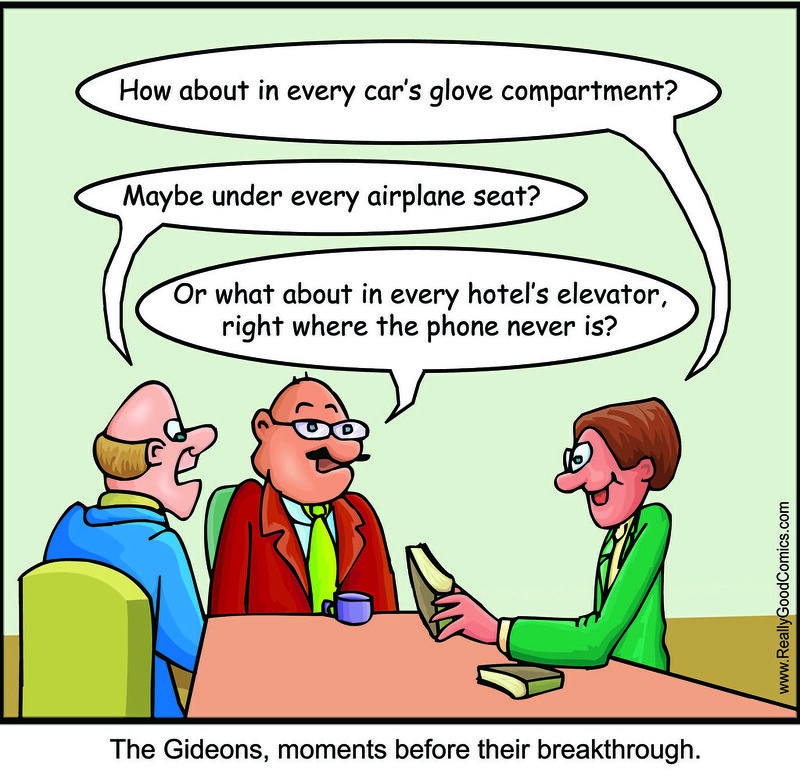 No Gideon Bibles in my hotel this week! When are they coming to China? Have you check in the hotel elevator, right where the phone never is?